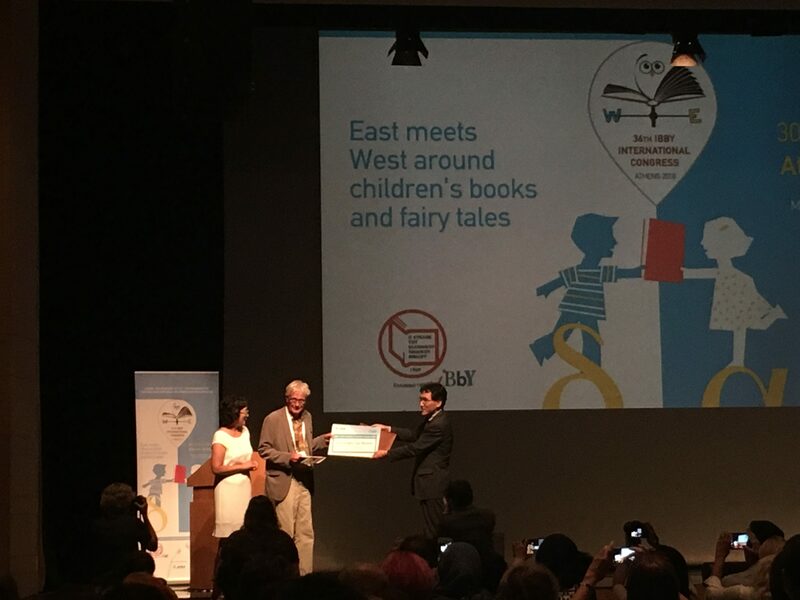 Sunjidmaa Jamba (Mongolia), chair of the Jury for the 2018 IBBY-Asahi Reading Promotion Award today announced the winner of the 2018 IBBY-Asahi Reading Promotion Award. IBBY is very grateful to the Asahi Shimbun newspaper company in Japan for their continuing sponsorship of this prestigious award. The IBBY-Asahi Reading Promotion Award was founded in 1986 and until this year has biennially presented the award to two projects that are run by groups or institutions whose outstanding activities are judged to be making a lasting contribution to reading promotion programmes for children and young people. As of 2018, due to economic necessity, one winner will be selected every two years. The winner is selected from among projects nominated by IBBY national sections from all over the world. Mingzhou Zhang (China), Hasmig Chahinian (France), Zohreh Ghaeni (Iran), María Cristina Vargas (Mexico), Sunjidmaa Jamba (Mongolia/Chair) and Ferelith Hordon (UK).